Oblique aerial view of the remains of the township buildings and rig, and the site of the excavations, taken from the WSW. Oblique aerial view of the remains of the township buildings and rig, and the site of the excavations, taken from the SW. The area immediately E of the souterrain (NC82NE 35) was examined in advance of roadworks, the following sequence being recorded. (i) Evidence of ard cultivation. 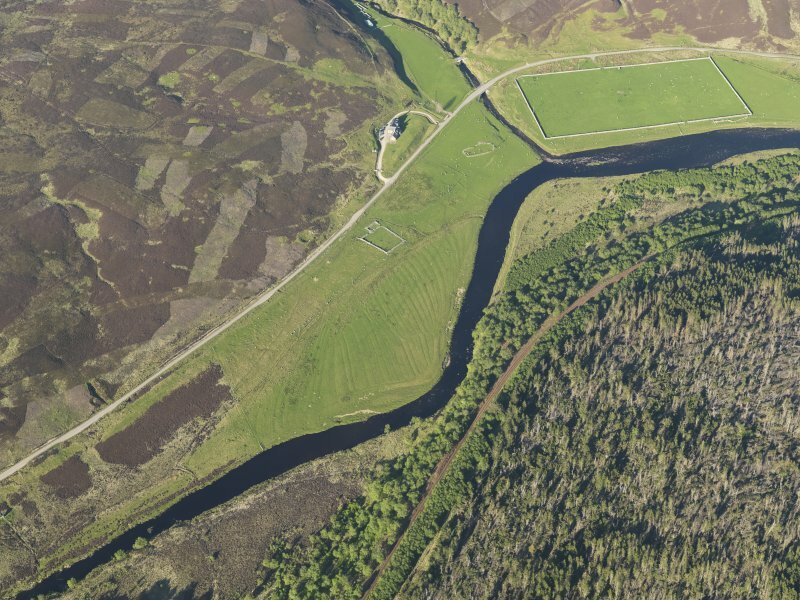 (ii) An Iron Age occupation surface surviving in a hollow and bounded to the E by a stone-faced earth bank which appears to have enclosed a substantial area between the present A897 and the Suisgill Burn. To the W of the enclosure bank a series of possible land divisions was investigated. (iii) Resumption of ard cultivation within the enclosed area. At this stage most of the site to the W of the stone-faced bank was covered by a deep gravel wash from the high ground to the N of the site. (iv) The surface of the gravel wash was occupied by a series of stone and wooden boundary features, which were in turn covered by a gravel wash.
(v) A scoop was cut into the top of the gravel to provide a platform on which a rectangular post-medieval structure was erected. This building was probably part of the post-medieval settlement which lay to the NE of the area under investigation. (vi) The northern half of the building was removed to allow the construction of a road, as yet undated, which, by coincidence, followed the route now planned for the realignment. The site now lies beneath the new road. 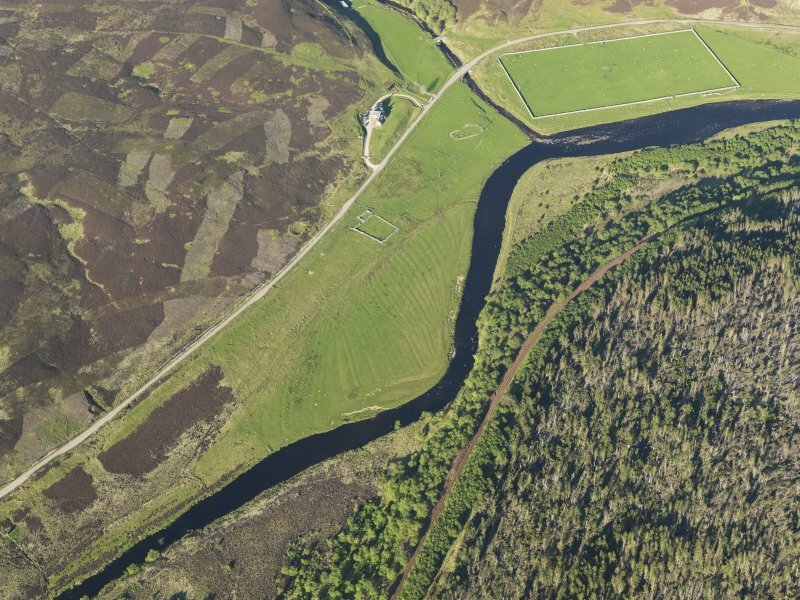 The finds from the excavation are now in Inverness Museum.